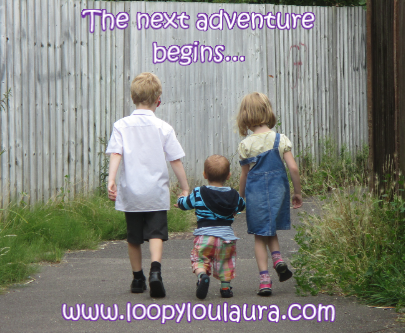 School ends, summer begins, big changes for Matthew and Anya is September. Hope you have all had a fun week! Aww! That is so sweet! Such a lovely moment to capture. It sounds like big changes are ahead. All very exciting though. Have a lovely summer holiday, September will come round all too fast! Ahh gorgeous photo of them! Have a wonderful Summer together! What a gorgeous photo – they look like they’re off for great adventures! Could be my three about thirty years ago. Aw this picture is so sweet! Have a wonderful summer! This is the kind of photo that will make you smile in your old age! So many changes you have coming up! Oh this is so adorable, a lovely one for them to look back on! I just love this kind of photo. Simple yet authentic. Moments like this need to be captured. :Love this pic largely because they are real children dressed in a real way rather than perfect blog show offy. Aww this is such a cute photo – enjoy the summer!